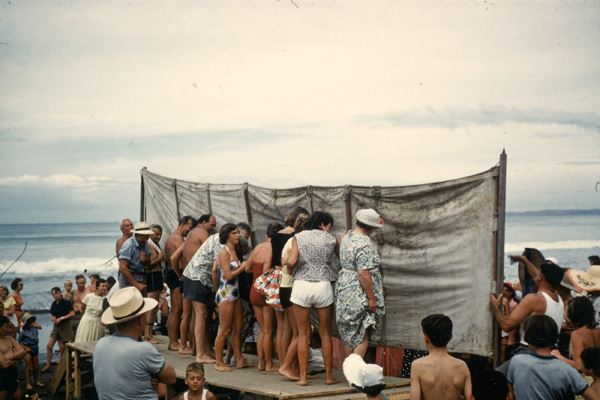 Ref: Lovely legs competition, Long Bay Beach, North Shore, Auckland, January 1957, North Auckland Research Centre, Auckland Libraries, E0037. 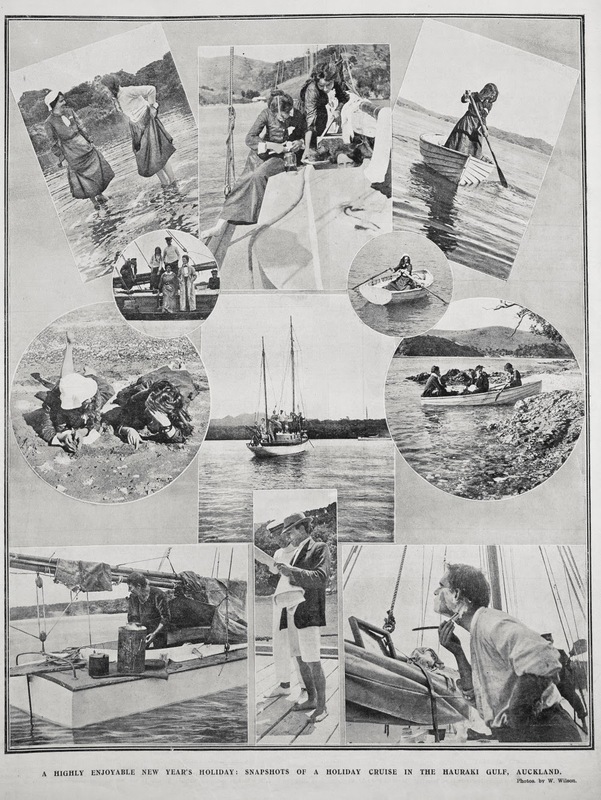 Ref: W. Wilson for the Auckland Weekly News, A highly enjoyable New Year's holiday: snapshots of a holiday cruise in the Hauraki Gulf, Auckland, 12 January 1911, Sir George Grey Special Collections, Auckland Libraries, AWNS-19110112-1-1. 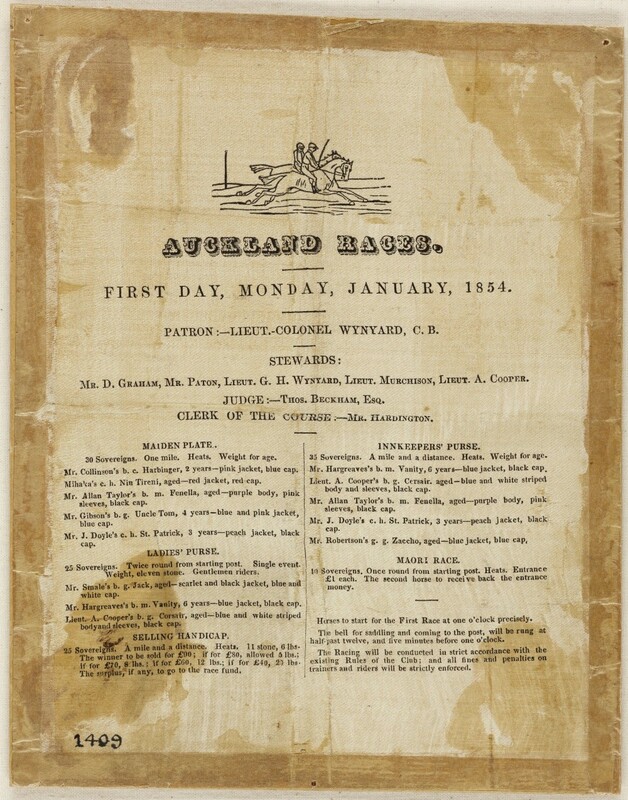 Ref: OCM Ephemera - 'Auckland Races', 1 January 1854, Sir George Grey Special Collections, Auckland Libraries. 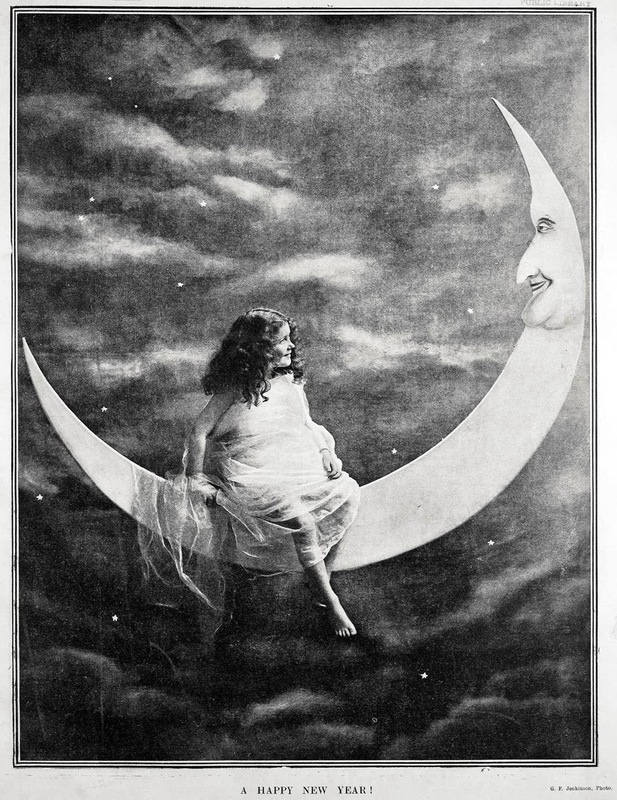 Ref: T.W. 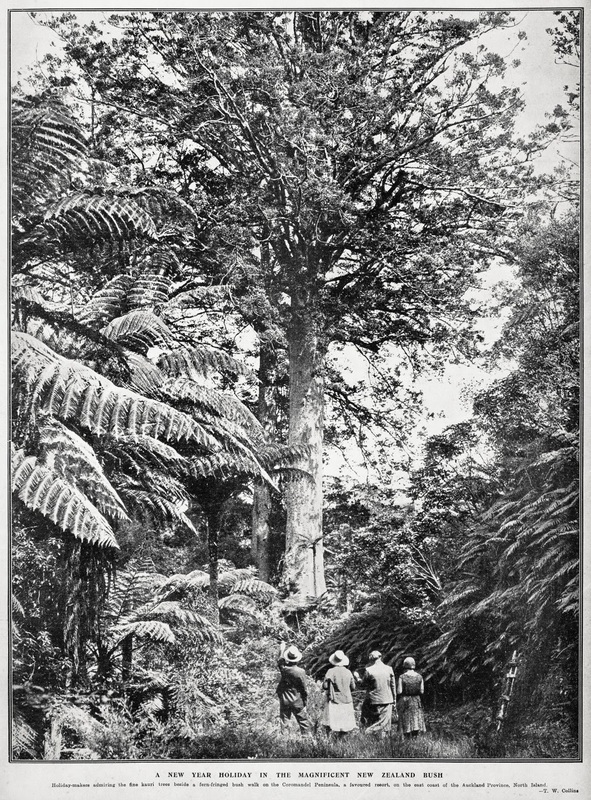 Collins for the Auckland Weekly News, A New Year holiday in the magnificent New Zealand bush, 4 January 1933, Sir George Grey Special Collections, Auckland Libraries, AWNS-19330104-31-1. 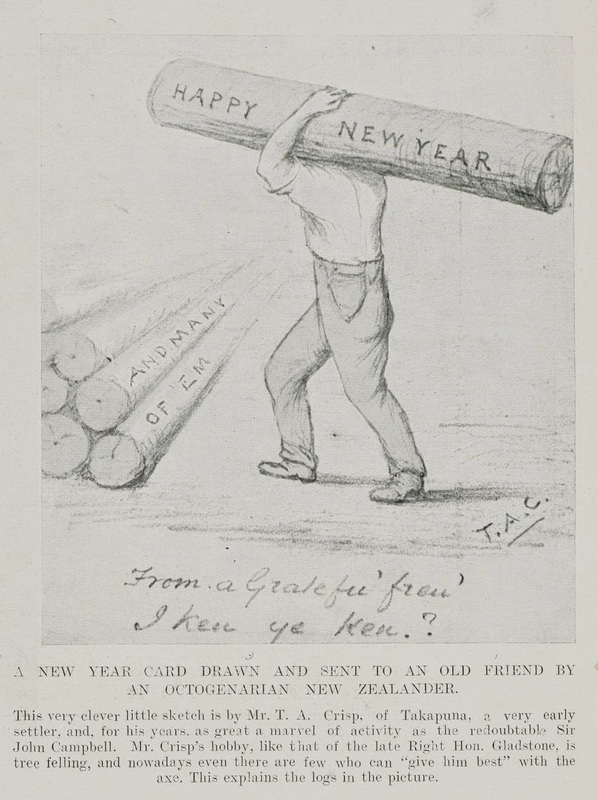 Ref: New Zealand Graphic, A New Year card drawn and sent to an old friend by an octogenarian New Zealander, 18 January 1908, Sir George Grey Special Collections, Auckland Libraries, NZG-19080118-14-2. 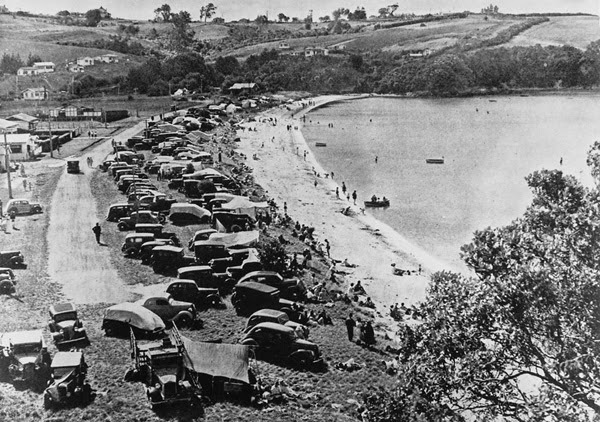 Ref: H.J. 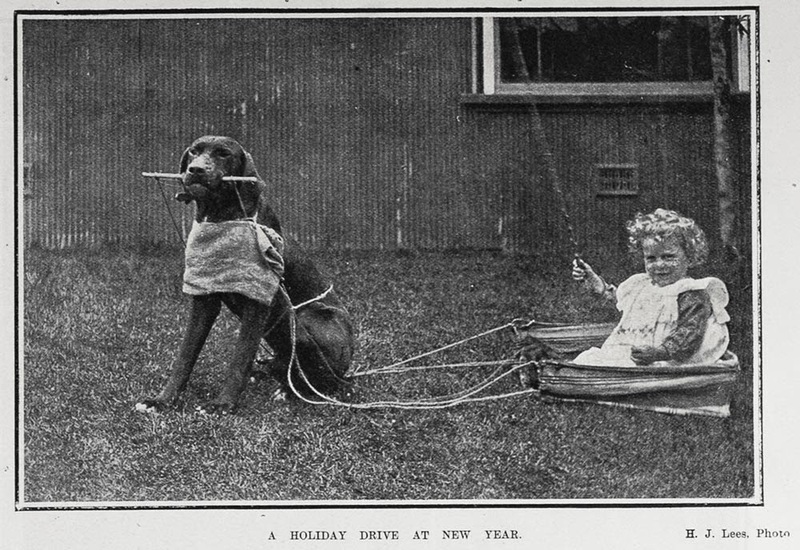 Lees for the Auckland Weekly News, A holiday drive at New Year, 12 January 1905, Sir George Grey Special Collections, Auckland Libraries, AWNS-19050112-17-2. 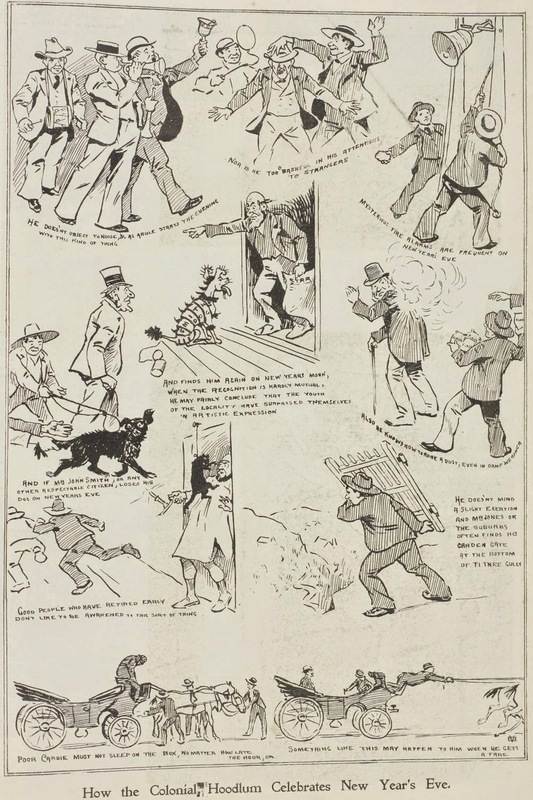 Ref: New Zealand Graphic, How the colonial hoodlum celebrates New Year's Eve, 28 December 1901, Sir George Grey Special Collections, Auckland Libraries, NZG-19011228-1237-1. 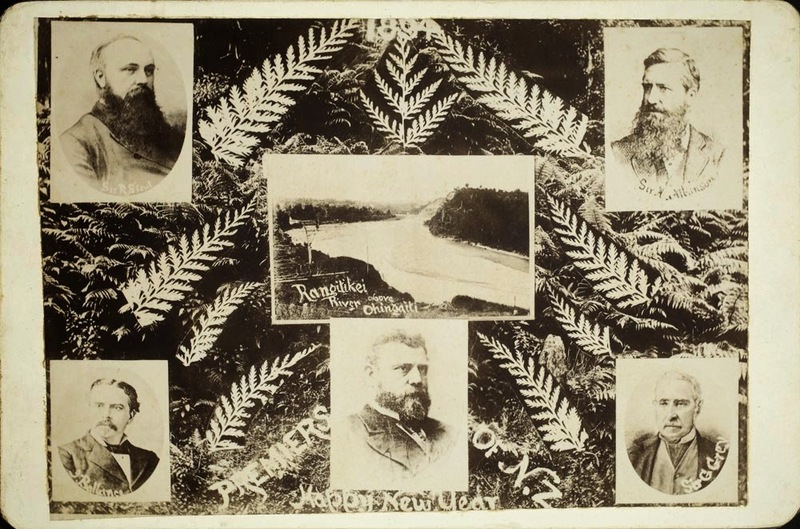 Ref: G.F. Jenkinson for the Auckland Weekly News, A happy New Year, 28 December 1905, Sir George Grey Special Collections, Auckland Libraries, AWNS-19051228-1-1.